Onomichi, famous and beautiful, has flourished as a harbor town through the ages. Mountains from behind the town approach the coastline of the tranquil Onomichi Channel that gently curves and forms a canal. Onomichi is a town of slopes where historic temples and homes spread out at the foot of the mountains. The beautiful scenic views with its many uphills and downhills are a perfect backdrop for a picture anytime and anywhere, and induce nostalgia in the hearts if people visiting Onomichi. Tradition says that this temple was founded by Prince Shotoku in 616 A.D. A famous Shogun Takauji-Ashikaga especially respected this temple. The main hall and the pagoda are national treasures. There are many other cultural assets such as the temple gate, the Amida Hall and a tea-ceremony room named Rotekian, which was moved from Hideyoshi Toyotomi’s Fushimi Castle. Many movies and TV dramas have been made in Onomichi, such as director Yasujiro Ozu’s “Tokyo Story”. The Onomichi Motion Picture Museum shows materials on movies taken in Onomichi. There is a mini-theater, too. There you can see how Onomichi attracts movie makers and fans. 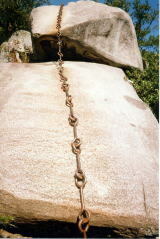 Huge straw sandals hang from the Deva gate. Walking up long stone steps, you get to the main hall, which is designated as an important cultural asset. From there you see a red three-storied pagoda between pine trees. Tradition says that this temple was founded in 806 A.D. The main hall is called “The Red Hall”. The Bell Tower is famous for its New Year’s Eve event. These are symbols of Onomichi. 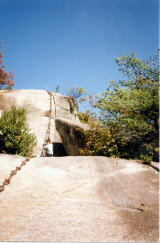 The park extends from the hill top to hill side. Here you can find cherry blossoms and azaleas in spring and wisterias in early summer. In autumn, a chrysanthemum exhibition is held. Each season fills the park with an array of colorful flowers. Onomichi City Museum of Art and the Path of Literature are located here. From the observatory, a spectacular panoramic view of Onomichi, the Seto Inland Sea and its islands can be seen. Looking at poems carved in stone brings a new and clearer understanding. Onomichi, favored with its mind climate and natural beauty has been visited by many writers and poets. Therefore it is often called the city of literature. You can walk along the Path of Literature. It consists of 25 stone monuments in honor of prominent people, such as Naoya Shiga, Fumiko Hayashi, and Shiki Masaoka, who admired Onomichi. 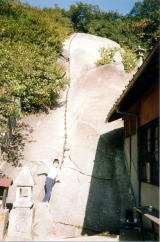 In front of the temple is a stone arch made by stonemasons from Onomichi. This temple possesses a picture designated as a national treasure. 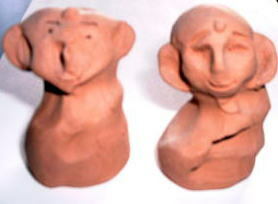 Here you can make your own small clay image of a Buddha for yourself. Japanese painter Ikuo Hirayama was born in 1930 in Setoda Town. This museum introduces the full diversity of his many works throughout the years.